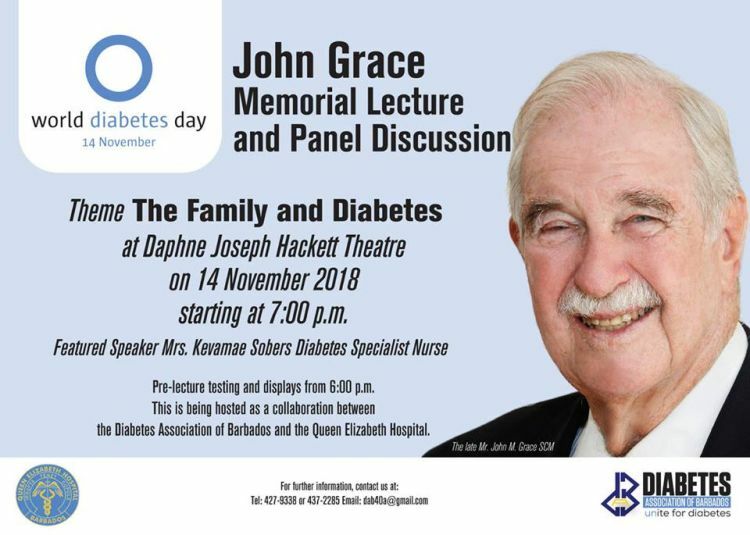 World Diabetes Day, as recognised by the international community, is led by the International Diabetes Federation, and will be observed on Tuesday 14 November 2018. This will also be observed in Barbados along with a host of other activities from November 11th-16th. Theme: The Family and Diabetes.